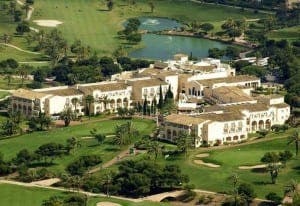 SPAIN’S most esteemed golf clubs are celebrating after cleaning up at the World Golf Awards held in Portugal. Taking the top gong for Spain’s best golf hotel, La Manga in Murcia bagged the prestigious award for the second year running. Meanwhile, on the back of being named Spain’s Leading Villa Resort at the World Travel Awards, Las Colinas Golf & Country Club in Alicante was voted the best golf course in the country for its layout and conditioning. For the second year running, Portugal was was crowned the world’s best golf destination.